Meet the Street Fighter 4 that existed before the game we're playing today: Street Fighter 4 Flashback. Imagined in part by David Sirlin, the designer for Super Street Fighter II Turbo HD Remix, Street Fighter 4 Flashback never made it past the proposal stage, but this design document dug up by Siliconera reveals a game remarkably similar to the SF4 we know today, despite a few differences. 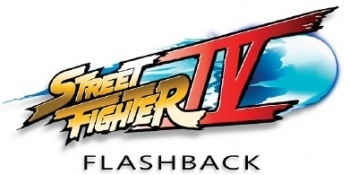 Like SF4, Flashback features 2D gameplay rendered in 3D. The roster, just like SF4's, is made completely of classic Street Fighter 2 characters (Sakura's there too), along with a couple of new characters. The "flashback" theme, which manifests itself in gameplay with the ability to rewind the game by a few seconds once a round, is based on the same idea that SF4's grounded in: people really loved SF2. "Street Fighter 2 was the phenomenon," the document reads. "The casual player will relate to Chun Li and Blanka far better than to Twelve and Q (from SF3: Third Strike). That's why we want to return mostly to the SF2 / Alpha era where we can focus on nostalgic story moments and characters." The game would have also featured a single-player mode with Ninja Gaiden-style third-person 3D action that focused on Ryu's backstory. Taking the nostalgia game to a whole other level, Flashback also proposed to provide every single Street Fighter game previously released available in arcade-perfect emulations as unlockable rewards, as well as a 3D version of Super Turbo. That, I could get behind. Overall, it sounds like they were really on the same page as Capcom with this game, at least in terms of the nostalgic spirit. Same goes for the control system, which ditches the Hadoken-style joystick movements for a drastically simplified system where there are only four attack buttons and you pull off specials by pressing a single direction and a button. Capcom obviously didn't go for this for SF4, but it is the system employed in Japan-only fighter Tatsunoko vs. Capcom. The typically outspoken Sirlin has never been shy about saying that SF4 as we know it isn't how he'd want it if we had his way. "I have a very different idea about how to usher in a new era of Street Fighter, but this isn't it," he told 1UP in an interview. I don't know, the general idea for Flashback, even if the specifics vary pretty greatly, seems to be very much in line with what SF4 represents. It seems like Flashback would have simplified Street Fighter even more than SF4 does - SF4, despite its familiar look and feeling, is still very much a complicated game. Flashback never got past the proposal stage - only some concept art and rough 3D models ever came out of the design doc. Still, it's interesting to look at what could have been Street Fighter 4 - would you guys have wanted to play this game?